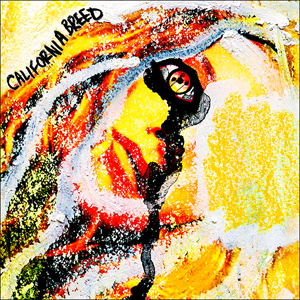 CALIFORNIA BREED is a hard-rocking band that’s bringing everything rock and roll to the world with its self- titled debut album. 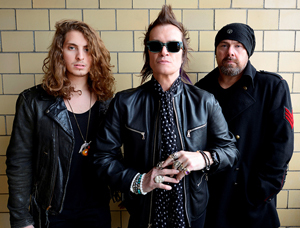 Combining the best elements of classic rock with arresting hooks, catchy melodies, and an undercurrent of funk, the Los Angeles-based trio has a pedigree that includes the much-respected Glenn Hughes (DEEP PURPLE, BLACK SABBATH) on vocals and bass, and power drummer Jason Bonham (BONHAM, FOREIGNER, UFO, JASON BONHAM’S LED ZEPPELIN EXPERIENCE). Newcomer Andrew Watt, whose style evokes the forefathers of guitar including Jimi Hendrix and Jimmy Page, as well as later-generation Jerry Cantrell and John Frusciante, is equal to the challenge by joining with his better-known bandmates on guitars and vocals. Hughes has had a long and successful career as a singer and bassist for a variety of bands such as TRAPEZE, the aforementioned DEEP PURPLE and BLACK SABBATH, and with the recently-defunct BLACK COUNTRY COMMUNION. A much-respected and sought-after musician, he has played on numerous projects with the biggest names in the business, including Tony Iommi and Gary Moore. Hughes and Bonham, both members of BLACK COUNTRY COMMUNION (along with guitarist Joe Bonamassa and keyboardist Derek Sherinian), began to write new material together almost immediately after the band split. Rather than do a BLACK COUNTRY COMMUNION II, he and Bonham collaborated for several weeks, and then decided it was time to bring a guitarist into the group. Not long after their introduction, Hughes and Watt wrote two songs, marking the beginning of what would become California Breed, the self-titled album: “We wrote those songs in my studio within four or five hours, from tip to toe. Music, lyrics, melodies, everything.” Hughes played the songs for Bonham and the band booked studio time right away. 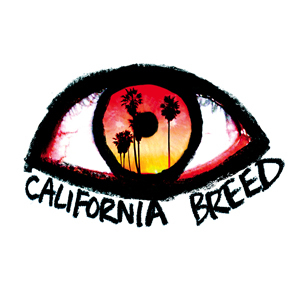 Pick up a copy of California Breed in the KNAC.COM More Store right HERE.